You can only use this card’s (2) and (3) effects once per turn each. 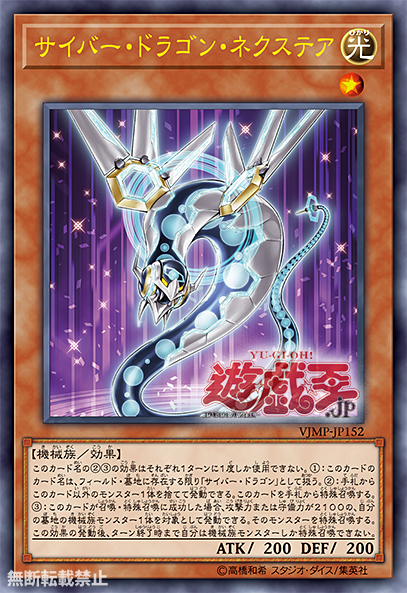 (1): This card’s name becomes “Cyber Dragon” while on the field or in the GY. (2): You can discard 1 other monster; Special Summon this card from your hand. (3): If this card is Normal or Special Summoned: You can target 1 Machine monster with 2100 ATK and/or DEF in your GY; you cannot Special Summon monsters for the rest of this turn, except Machine monsters, also Special Summon that monster.